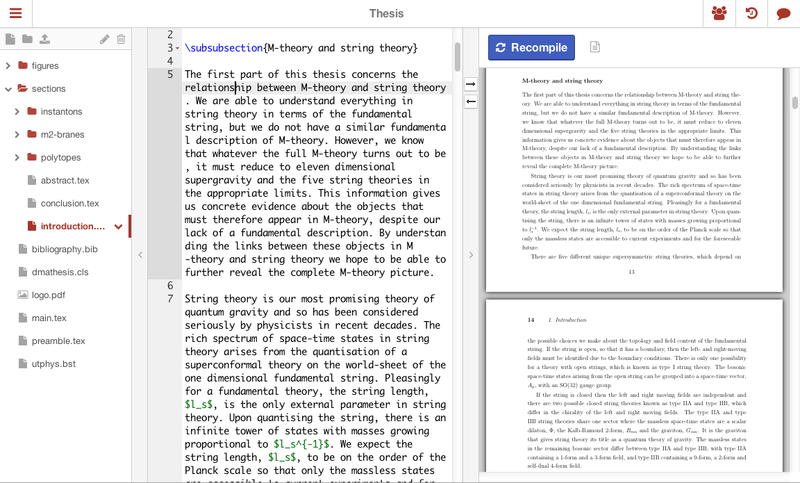 Once you've had a chance to use the new version, we'd really appreciate it if you could fill in our short feedback form https://sharelatex.typeform.com/to/qnmNGd (update 20/02/2019: update 20/02/2019: archival link, no longer active) to help us know what we need to make better before launching it fully. This is your chance to help us shape ShareLaTeX and create the world's easiest and nicest to use LaTeX editor! If you want to go back to the old version, you can visit https://www.sharelatex.com/old (update 20/02/2019: archival link, no longer active).